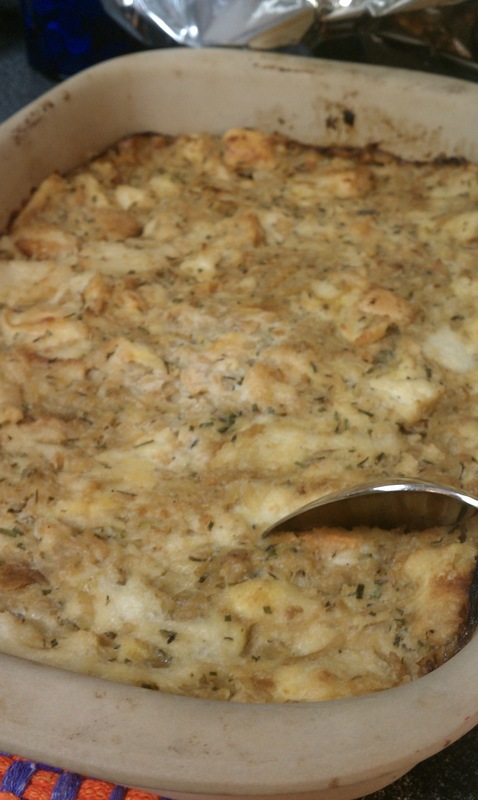 A few thanksgivings ago my Mom made the best stuffing I ever had. (or is it dressing? Are they the same? Isn’t mayonnaise also dressing?…anyway). 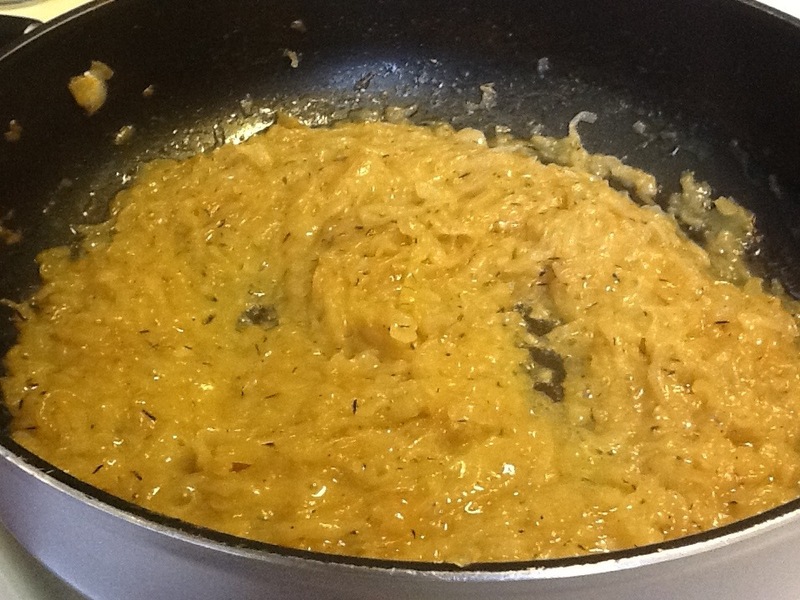 All she remembers is that it took forever to carmelize the onions….all I remembered was how good it was! This year I volunteered us to make the stuffing for Thanksgiving at her parents house and we made the stuffing to end all stuffings! This recipe was initially in Real Simple magazine. 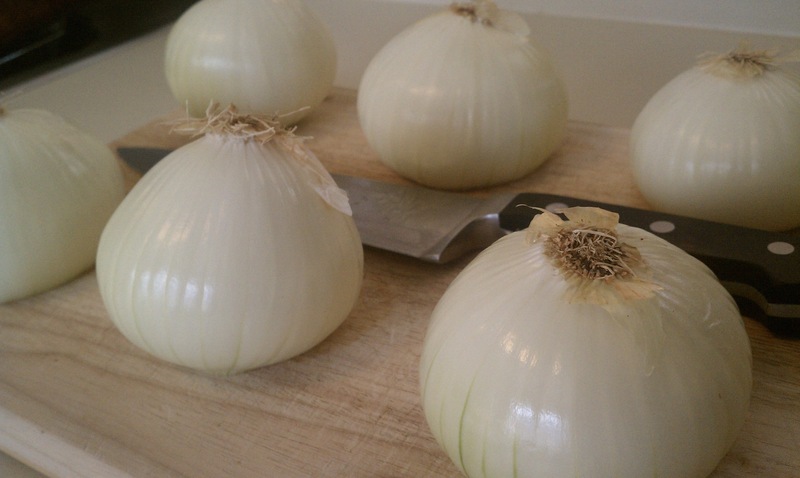 6 onions take a while to chop! transfer to a large bowl and let cool for 10 minutes. 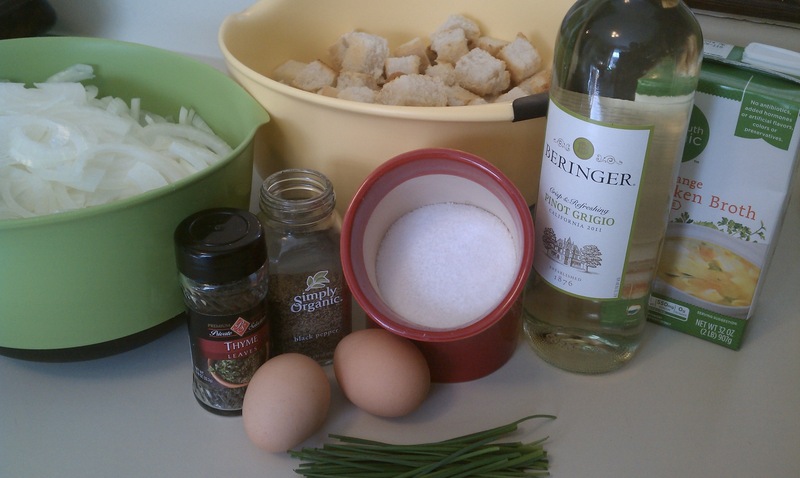 Add the bread, broth, eggs, chives, thyme, and ½ teaspoon salt to the onions and toss to combine. Cover with buttered foil and bake for 20 minutes. 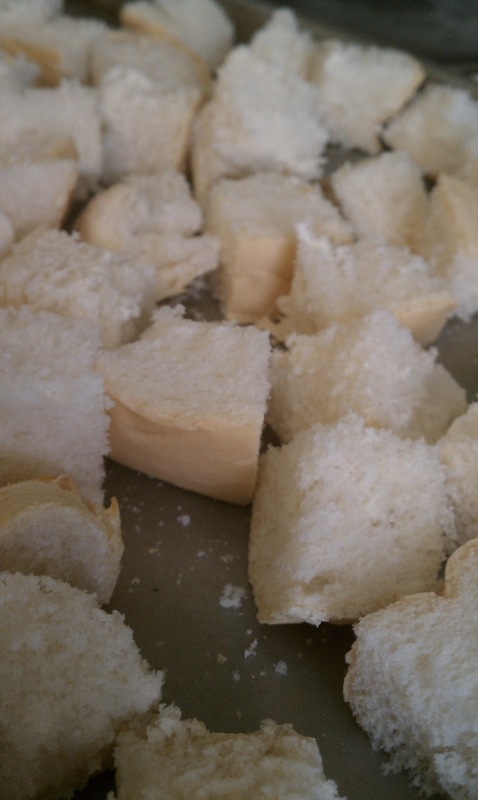 Uncover and bake until browned, 20 to 30 minutes more. I have decided my favorite smell is butter and onions….. Where is that candle? 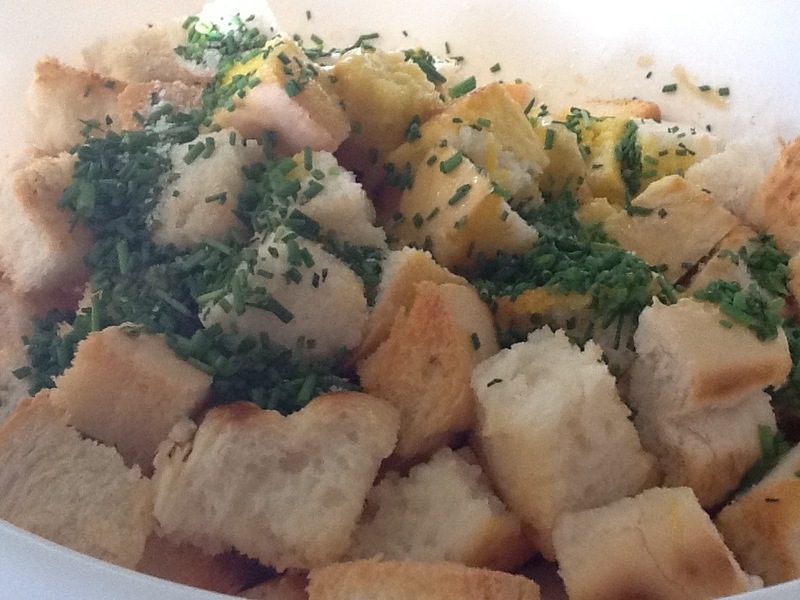 Stuffing was awesome! Looks, smells and tastes amazing! Hope to make this again next year! 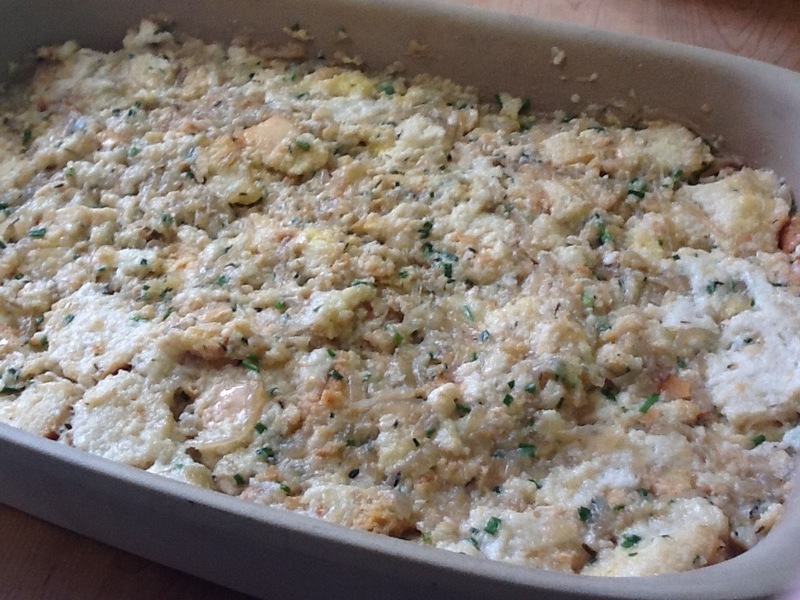 This entry was posted in Foodery and tagged onion, real simple, recipe, Stuffing, thanksgiving. Bookmark the permalink.